The famed Muscle Shoals Sound Studio was formed by studio musicians -- the first rhythm section to own their own studio. 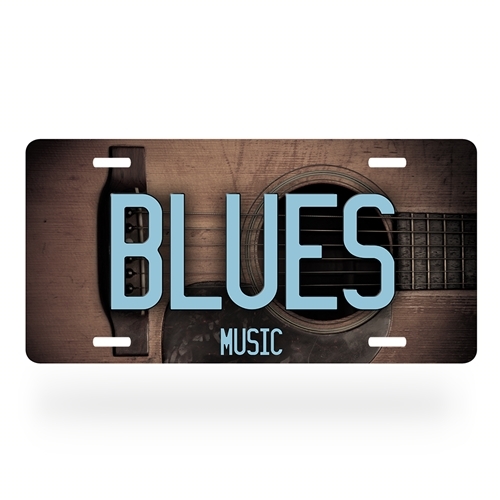 Only available through Bluescentric, the Blues Music License Plate can add musical style to any blues fan's space, room, car or even guitar. The decorative front license plate measures exactly 5.875" x 11.875" (301.6x149.2mm). Plates are .30 inch thick durable non-rust aluminum and Made in America. They come premade with 1 inch (25.4mm) screw slots to attach to a car.